By Devin Yoshimoto. Facing the highest energy costs in the world, leading Australian independent retailer Drakes Supermarkets is more committed than ever to its CO2 transcritical future. On 1 July 2017, South Australia made global headlines. On that day, the state overtook Denmark for the dubious honour of having the world’s most expensive electricity, reported the Australian Broadcasting Corporation. The ABC article detailed energy price hikes announced by Australia’s three largest energy retailers in the middle of last year. In a retail sector where profit margins are already razor thin, fluctuating energy costs can have a dramatic effect on a supermarket’s bottom line. 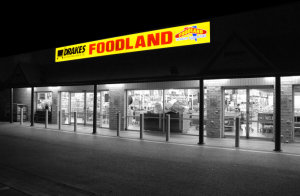 Few understand this better than Drakes Supermarkets, which currently operates around 60 stores in the states of South Australia (SA) and Queensland (QLD). The company, founded by Roger Drake in 1974, began as a single three-lane supermarket on Henley Beach Road in Torrensville, SA. 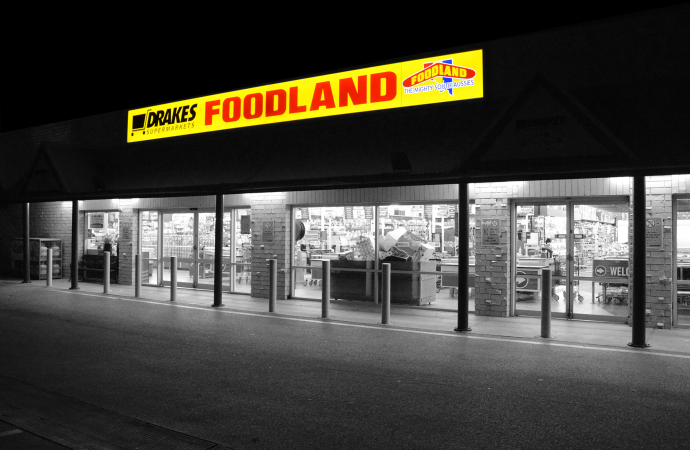 Today, Drakes Supermarkets is the largest independent grocery retailer in Australia, with an annual turnover of over $1 billion. Faced with the challenge of reducing operating costs in today’s climate of rising Australian energy prices, the company is turning to natural refrigerants to carry it into the future. Drakes is poised to open three new transcritical CO2-based supermarkets. It expects CO2 transcritical to save upwards of 20-25% on running costs compared to stores fitted with traditional HFC-based systems. The stores, located at Goodwood Road, Wayville (SA), Stebonheath Road, Penfield (SA) and Ardrossen Road, Caboolture (QLD), are due to open by the end of February 2018. This website travelled to the head office of Drakes Supermarkets in Torrensville to meet Bob Soang, the firm’s general manager. Speaking eloquently about their journey so far, Soang – who boasts 38 years of experience at Drakes – outlined the most important lessons learned and set out why they see natural refrigerants as the future of Australian retail. Drakes’ history with CO2 dates back to 2007, when the retailer became the very first to install a transcritical CO2 system in a southern-hemisphere supermarket. Soang, who oversaw the installation of the system at the time, describes what motivated the decision. “As we’re the largest independent, we’ve always felt that there is some onus on us to do some of the pioneering,” Soang says. That first system was commissioned in December 2007 at a Drakes Foodmarkets store in Angle Vale, north Adelaide. “We got a small government grant to help, because the CO2 technology was quite a bit more expensive than the more traditional systems,” reflects Soang. At the time, in an attempt to fight greenhouse gas emissions, the Australian government had made available a $2 million subsidy fund to evaluate new technologies in the commercial refrigeration sector. The subsidy was issued under the government’s Greenhouse Gas Abatement program and administered by the Green Cooling Council. The combination of these factors led Drakes to move forward with the transcritical CO2 installation. The result? Soang believes the level of technological development for transcritical CO2 systems simply made their adoption too premature for that time. He is nonetheless keen to stress that the issues they experienced did not take away from the fact that the system was amazingly efficient. Problems stemming from poor design and technology eventually led Soang to swap the system out, but ever since he has been convinced that CO2 is the way forward. “In the end, I replaced the transcritical system and went back to the more traditional CO2 cascade system,” Soang says. Witnessing the potential of CO2 at first hand convinced Soang to move forward with subcritical CO2 cascade systems for the next ten years, building confidence and experience in using the technology along the way. Since 2007, Drakes has installed subcritical CO2 cascade systems at 14 store locations. “When we first started with CO2 and it was transcritical, it was a problem,” Soang admits. Not only were the subcritical CO2 systems running reliably, but they were also delivering 10-15% savings on running costs compared to Drakes’ standard HFC-based systems. In the intervening years, Soang has been closely watching the level of transcritical CO2 technology improve rapidly year on year. The improvements in technology and design, combined with the promise of even further energy savings, have driven Drakes to take a second look at transcritical CO2. Indeed, Drakes has already taken action, with the scheduled openings of the three new transcritical CO2-based stores. Soang is expecting a further 10% energy savings. “Now I know that the transcritical systems will be even more efficient than the current cascade systems that we’ve been using,” he says.